A high quality, lightweight ATB style pedal with a bear trap cage. Suitable for use with toe clips, and fully serviceable. Lightweight alloy pedal body and super smooth bearings. Could You Tell Me How Wide The Pedal Body Is, Please? the pedal body of this pedal measures 90mmx60mm. 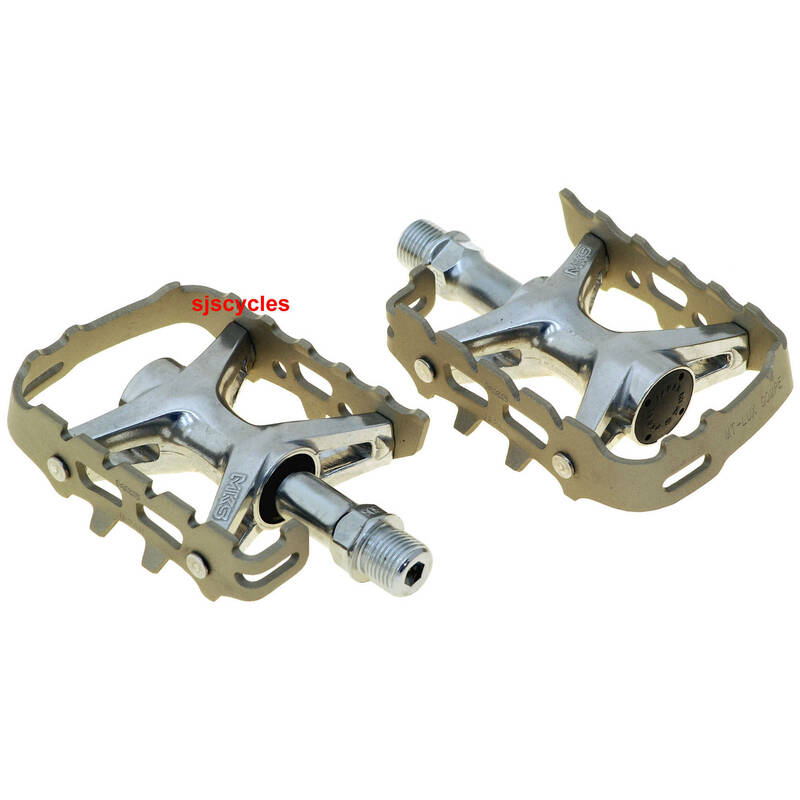 What Size Are The Ball Bearings In These Pedals Please.? Unfortunately this is not information that is released by MKS and we have no way of checking without dismantling a set of the pedals which we don't have the facilities to do.